To meet the requirements of different industrial installations, the monitor is available in four configurations – desktop, VESA mount, panel mount, and chassis. The maximum brightness of 1000 cd/m2 ensures excellent screen visibility in bright ambient environments. The brightness is adjustable to as low as 0.5 cd/m2, making it easy to view in low ambient lighting conditions. 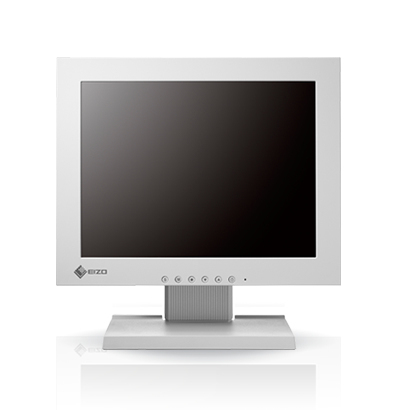 The monitor can withstand temperatures ranging from 0 - 50°C for high durability in industrial environments. In addition, the cabinet does not contain any ventilation holes, making it impervious to liquids and dust. The monitor is built to operate in both standard horizontal positions and non-standard positions such as attached to a mounting device or tilted at an extreme angle. In addition, images can be viewed rotated at 180° using a function accessed via the monitor’s front buttons for viewing flexibility.